Click on my picture above to place your order! 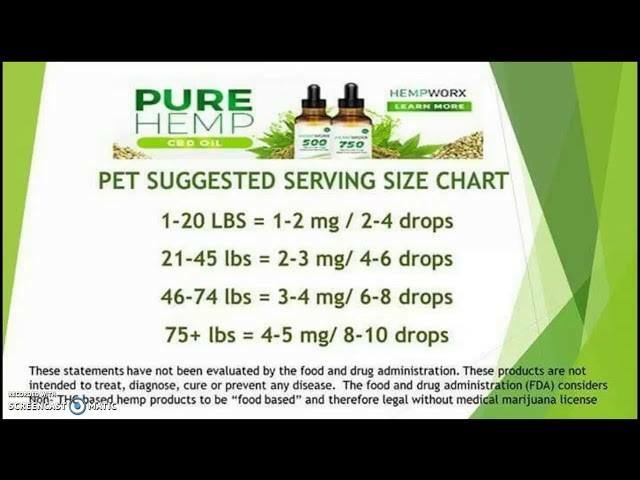 Many pet owners choose to use CBD not only as a medicine to treat a specific illness, but also as a regular supplement to promote the overall health and wellbeing of their pet. We have first handedly seen the amazing results that CBD has in treating many illnesses. Having been using it for Austin, my 16 year old sister, we have been able to take her off of the anti-inflammatory drug that was helping her stay on her feet but more than likely killing her kidneys. 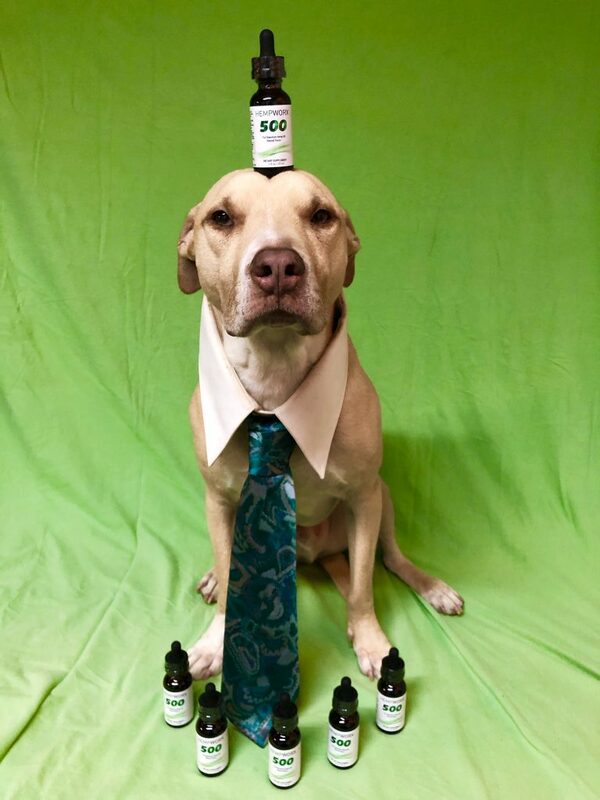 Shelby, WOW, a day after giving her this CBD oil we were able to take the cone off her head as she was not bothered by her Calcinosis rash anymore. You all know us pretty well and know that we would not promote a product unless we 100% believed in it. 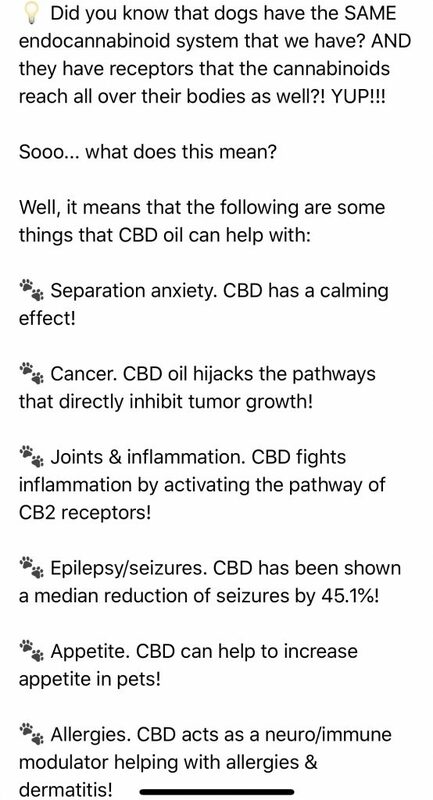 Below is a list of all the CBD oil benefits. 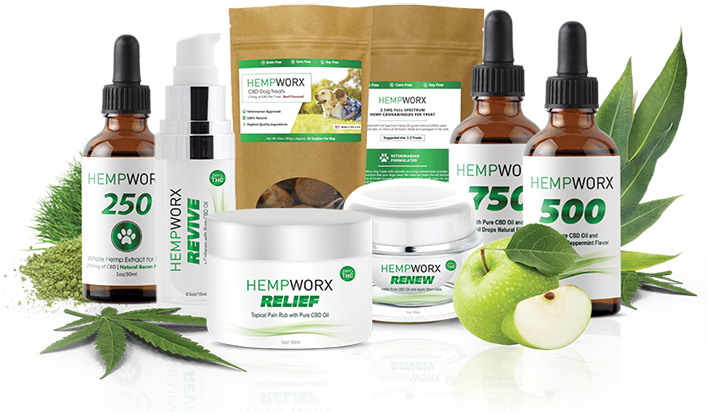 Hempworx backs its product with a 60 day, empty bottle, money back guarantee if you are not satisfied with the product and results. 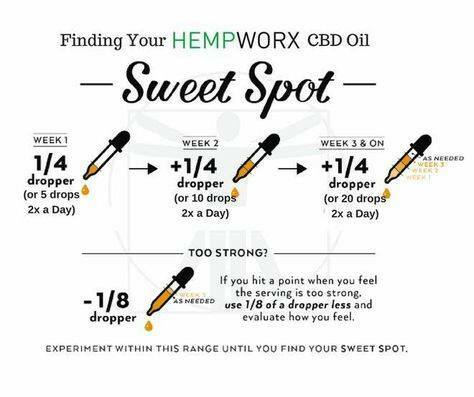 CBD hemp oil is well known to reduce signs of anxiety and stress well as prevent depressive episodes by increasing the levels of “positive” hormones and neurotransmitters in the body. Although some people feel that marijuana makes them “paranoid” or anxious, that is largely due to the psychotropic THC found in cannabis. Another major reason why CBD oil has been positively received in some parts of the medical community is its apparent effect on cancer and tumor growth.A study done by the researchers of the Institute of Toxicology and Pharmacology, University of Rostock, Germany recommends the use of CBD oil (even direct injection into tumors) to eliminate or reduce the size of the tumors. The antioxidants in CBD hemp oil also provide anti-mutagenic properties and lowers users’ risk of cancer. There is a strong sedative quality to CBD hemp oil, making it a popular remedy for people with insomnia, sleeplessness, interrupted sleep, post-traumatic stress disorder, restless leg disorder, and other night-time issues. Dr. Scott Shannon, Assistant Clinical Professor of Psychiatry at the University of Colorado School of Medicine, USA, published a report in the Permanete Journal, in which he recommended either inhaling a small amount of CBD oil, applying it to one’s chest, or even putting a few drops on one’s pillow to help get a good nights sleep. The non-psychoactive constituent of Cannabis sativa, cannabidiol, has therapeutic uses in treating psychiatric disorders. It is used to fight alcoholism and cocaine addiction, which means it reduces alcohol and drug relapses. CBD oil is not legal everywhere. It is banned/restricted by countries such as UAE, Dubai, and Saudi Arabia. CBD oil is legal in all 50 states. It is advisable to consult your local health specialist before use.